BetAndskill is one of the first websites offering the latest NetEnt slot Sparks in a free version. This 5-reel, 3-row, 20-line video slot is simply amazing! Find here the best online casinos where to play Sparks slot, find a lot of free spins offer and no deposit bonuses to play Sparks! 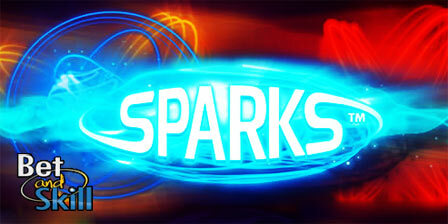 Sparks is the latest energy-filled video slot from NetEnt™. This 5-reel, 3-row, 20-line video slot features Win One Way mode and Win Both Ways mode, as well as Wild substitutions and an Expanding Cloning Wild! Netent Sparks does guarantee you an exciting and electric (excuse the pun) time on the reels. The combination of enticing sounds and blazing neon-themed graphics makes sure that you will have the complete NetEnt slot experience. BGO: claim your free spins, no deposit bonus or welcome package here! CasinoEuro: claim your free spins, no deposit bonus or welcome package here! Maria Casino: claim your free spins, no deposit bonus or welcome package here! 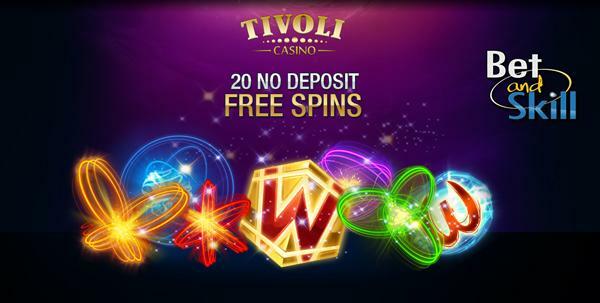 Maxino: claim your free spins, no deposit bonus or welcome package here! Mr. Green: claim your free spins, no deposit bonus or welcome package here! Mr. Smith: claim your free spins, no deposit bonus or welcome package here! Mybet: claim your free spins, no deposit bonus or welcome package here! Nordicbet: claim your free spins, no deposit bonus or welcome package here! Paf Casino: claim your free spins, no deposit bonus or welcome package here! SmartLive: claim your free spins, no deposit bonus or welcome package here! Sportingbet: claim your free spins, no deposit bonus or welcome package here! Win One Way mode: You will win if a bet line is successful form the leftmost reel to the rightmost reel only. Win Both Ways mode: Another popular feature within Netent slots is the Win Both Ways feature where winning lines can be read from right to left, as well as the standard left to right, obviously increasing the amount of ways you can win. Wild Substitution are triggered at random anywhere on a reel and can substitute for all symbols to help create a winning line, with the exclusion of Expanding Cloning Wild symbols. Expanding Cloning Wild symbols: Can appear anywhere on reels 2 and 4, they also substitute for all symbols and pays the highest possible winning combination on a bet line. When the Expanding Cloning Wild symbols appear they will either remain as they are, expand up or down or expand in both directions. They will also work in a Win One Way mode and Win Both Ways mode. It has an incredibly high return to player ratio of 96.54%. "Sparks slot (NetEnt) - Free Play - No deposit bonus - Free Spins"